Bring home the spirit of Pawnee! From NBC's hit sitcom Parks and Recreation, your favorite characters have been stylized as Pop! Vinyl Figures. 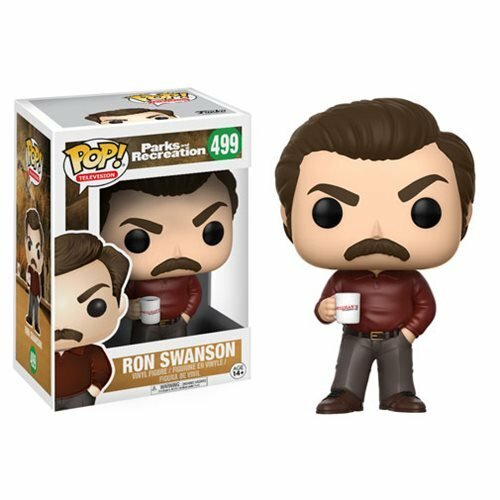 The Parks and Recreation Ron Swanson Pop! Vinyl Figure #499 measures approximately 3 3/4-inches tall and comes packaged in a window display box. Ages 14 and up.